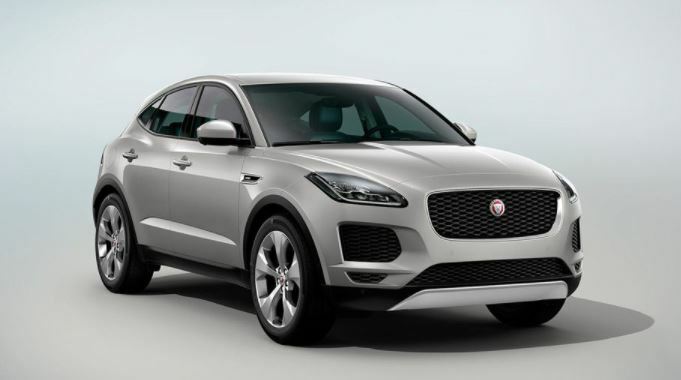 The new Jaguar E-PACE is a dynamic and agile compact SUV with the lines of a coupe with a modern interior that is distinctly Jaguar. When you get behind the wheel you will discover the excitement of driving the E-PACE. 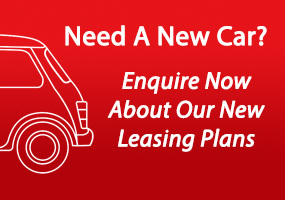 It offers a unique between agility and ride comfort, with a fully independent suspension system which has a sophisticated multi-link rear suspension design. When you first see the new E-PACE, you will notice its unmistakably sporty look, with bold honeycomb mesh grille framed by LED headlights with the signature ‘J’ blade. At the rear, the full LED tail lights provide a distinctive night time signature. 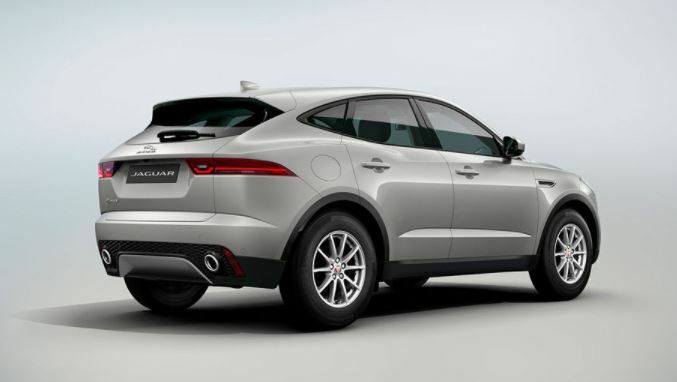 The E-PACE’s muscular haunches give an assertive stance, and the wide tailgate has been designed to allow easy access to the large and versatile loadspace. As you would expect from a Jaguar, every component you can see and touch has been meticulously designed to deliver a refined, tactile experience. In the driver seat you will find the cockpit wraps around you while the 3-spoke leather steering wheel incorporates key controls for ease of use. And why not opt for the optional fixed panoramic glass roof to flood the E-PACE’s interior with light and enhance the airy, spacious feeling inside the vehicle. The E-PACE has fantastic interior stowage. The deep centre console with removable cupholders, provides a highly flexible space. The large glovebox is great for all those essentials you want to keep close at hand and both deep front door bins have been sculpted to carry a range of items. Touch Pro: The Touch Pro is the standard 10″ touchscreen sits at the heart of the centre console and support swipe and pinch gestures and delivers Jaguar’s richest ever audio-visual entertainment. Interactive Driver Display: The optional 12.3″ high-definition Interactive Driver Display can receive and project a vast amount of driver information, entertainment and active safety data including navigation, phone and navigational directions on the windscreen. Head-up Display: The Head-up Display is an option that presents key vehicle data such as your speed, gear position and navigational directions on the windscreen. 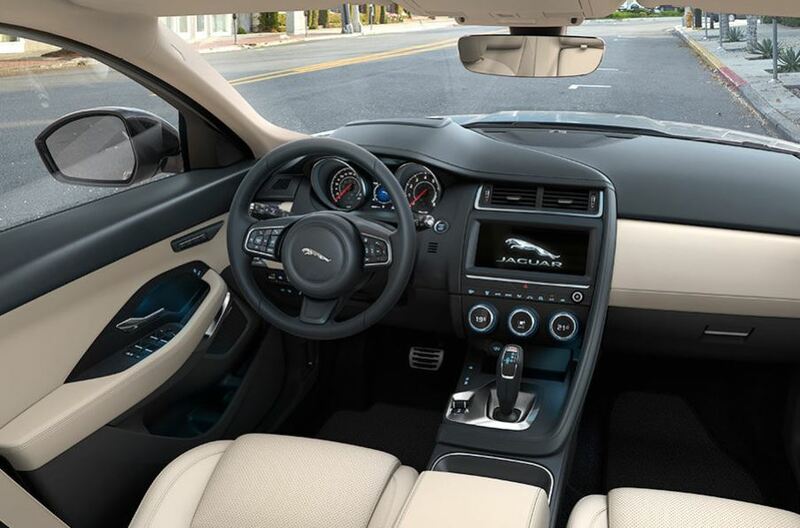 Connectivity: InControl is Jaguar’s suite of standard and optional features that connect you to your vehicle and links you seemlessly and securely with the outside world. Standard features include; Pinpoint Touch Control, Personalised Homepage, Interactive Side Panel, Multimedia, Enhanced Phone Interface and Voice Recognition System. The new Jaguar E-PACE is available now and starts from €36,000.